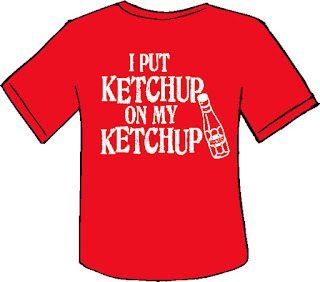 There's an ongoing war between those who love ketchup, and those who hate it. Whether ketchup democratizes taste or makes everything taste reassuringly predictable, is a point that doesn't look like getting resolved. I am a ketchup lover, but to me, it's not about the taste. I would rather take the ketchup out of this whole 'taste' domain and replace it within a framework of 'enjoyment'. The question, thus is : Is ketchup really enjoyable ? I think, it really, really is. First, the sheer act of getting the ketchup out of its container delights me. From thumping the bottoms of glass bottles, to squeezing the pichkus, doling out ketchup is an experience that is immensely satisfying in itself. The soft, red blobs of ketchup, offer instant gratification for the marginal effort that I put into getting them out. Factor in the countless memories associated with funny, ketchup serving accidents, and my bottle opens up this wonderful world of nostalgia, where my senses are sprinkled with subliminal happiness, though I might not consciously acknowledge it every time. For me, the visual appeal of the ketchup precedes its taste. The sight of generous amounts of bright colored, viscous, ketchup on anything edible, or an empty plate, stimulates a feeling of gustatory delight even before I have actually consumed my food. This might have to do with red being a more palatable color, for it is unlikely that a purple colored ketchup would excite me as much. The experience of consumption starts much before the actual consumption itself, and in case of ketchup, its red color and viscous consistency play a big role in making this experience pleasurable, without it's taste even coming into the picture. I also link ketchup to indulgence. 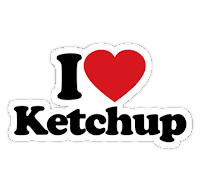 Despite its modest calorific value (as compared to mayonnaise, or thousand island, or any other topping sauce), ketchup offers me the satisfaction of indulging, without associating it with guilt. This de-linking of indulgence and guilt is a quality almost unique to ketchup, one that makes it a favorite of the health conscious and health agnostics alike. Interestingly, this also makes it my steady companion in good times, where the idea of fun is attached to excesses ( liquor, binging, movie marathons, staying up late, etc.) I don't just add ketchup to my food, at times, I splurge it, with no regrets, to celebrate the moment. I don't mind adding other ingredients and condiments to my food to make it taste better, but nothing makes food quite as enjoyable as ketchup. 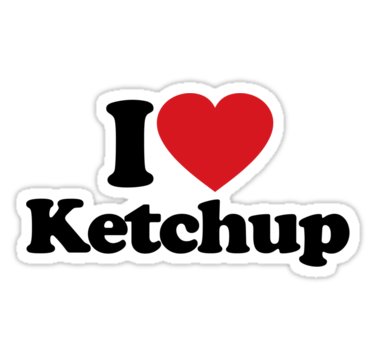 Whether as a condiment, or a key ingredient, I look at ketchup as pretty much the most amazing man-made food item the world has seen so far. Naysayers have made a few good attempts in the past ( think - mustard, mayonnaise) but it’s unlikely that they'd ever ketch-up ! P.S: Found this tshirt design on wackyplanet.com. Ordering one for myself. 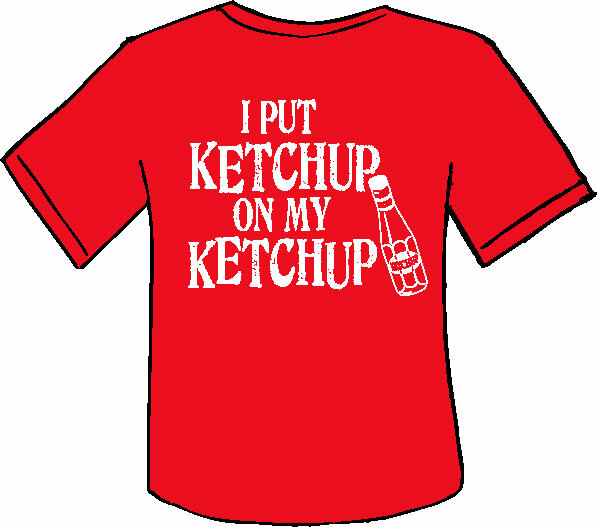 Haha , thanks Jaish:D it's always good to cone across other ketchup lovers ! Super writeup. From one ketchup lover to another. I am not so Ketchup crazy as you are :) It is nice to eat it with Samosas and bhajias. You have waxed eloquent about Ketchup. You've been awarded - The Versatile Blogger Award!! your website is good, but always try to improve it or innovate and it’ll be even better.Take it as a Suggestion. Have something to say about how this one tasted? Share here. You might want to taste this..
We like it Funny Side Up! salt 'n' pepper. Powered by Blogger.